Today was another day of adventure at Club Med. We started off with a delicious breakfast. Then we toured the property. It was really a repeat for me, since I explored the entire property yesterday after check-in. After touring the property, we listened to a presentation about the worldwide properties of Club Med and what expansion is coming for the brand. After that, we were free to participate in the activities until evening cocktails and dinner. Of course I took the time to catch up on some work and relax. I went to the Riverside BBQ and Grill for a salad, burger and fries. Everything was very good and the wait staff was friendly and accommodating. I also video taped Angela Caraway (The Caraway Management Group) doing trapeze for the first time. Make sure you watch the video. The entertainment in the theatre tonight was Circus Cabaret. It consisted of various acrobatic acts and was quite good. The strength and flexibility of the performers was incredible. Tomorrow is another awesome day when we have a presentation on the Club Med Academies and are able to participate in two of the the academy lessons. We choose two out of volleyball, golf and tennis. If my shoulder cooperates, I will participate. If not, I will settle for being a spectator. Looking forward to another fun-filled day tomorrow. My first day at Club Med Sandpiper Bay Resort in Port St Lucie, Florida was a great one. Meeting planner Angela Caraway and I arrived for the FAM (familiarization trip) about three hours before check-in. But, the kind person (Marley) at the front desk went ahead and checked us into our room, gave us our key wrist band and said she would call us when the room was ready. So we were able to go immediately and begin enjoying the resort. We explored much of the resort. I took photos and we went to Le Bouchon for our first taste of food. It did not disappoint. Everything I had was very good. Even the pizza there was better than some of the pizza restaurants I have been to. Later that evening, we had a reception and dinner at The Marketplace Restaurant. They had white chocolate bread that I couldn't stop eating. As a matter of fact, I plan to purchase a loaf or two to bring back with me. Yes, it is that good. So when you go to the resort, make sure you get some at the restaurant. You won't regret it. We met an awesome mother and daughter at dinner and connected right away. The mother, 81 years young, adopted us on the spot! So we gained a mother and a sister over dinner. We laughed, talked, shared and stayed way longer in the restaurant than we should have. But we took the hint when they started cleaning the tables. The night was beautifully calm and peaceful. We sat outside with our new "family", hugged each other and departed to our rooms for the night. Being at a beautiful resort and making lifetime connections is priceless. I plan to do this much more often. Now I am off to bed. Tomorrow will be another adventure. Are you ready to take your marketing efforts to the next level? It is time for you to check out the Royaltie Gem. 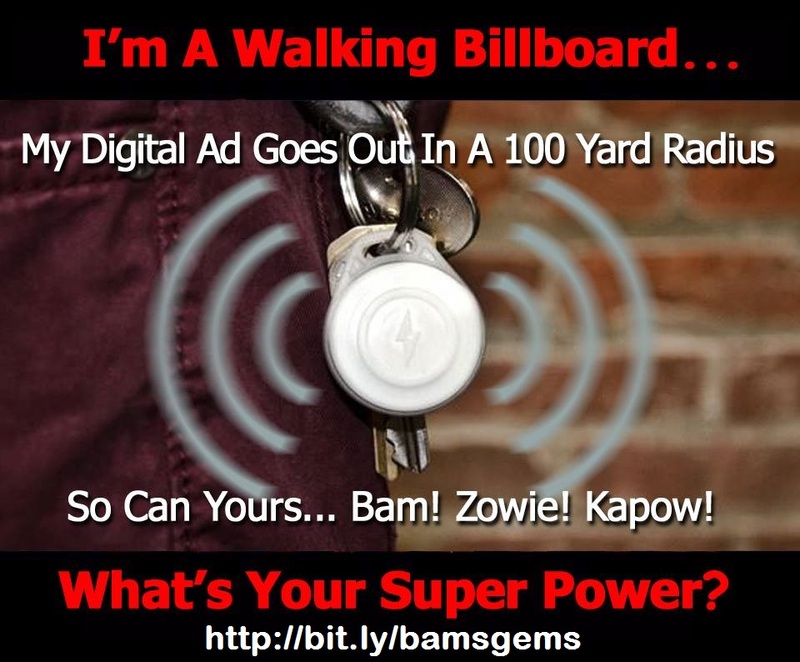 This beacon transmits your message to android phones within a 100 yard radius of the device. Imagine having it at the mall. or at a stadium or on vacation at an amusement park! Reach people you don't know without saying a word! The gems are affordable at less than $1 a day! 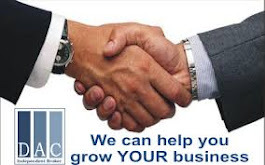 Move ahead of the competition by getting your product or service seen by android users everywhere! 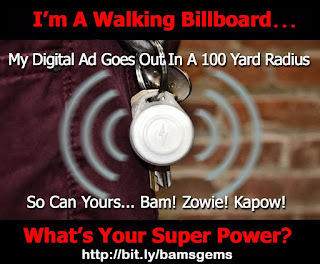 Go to http://bit.ly/bamsgems and see what all the talk is about. Ever Heard of Padlock Income? Can Royaltie Gems Help Real Estate Agents?